I'm cheating and putting up yesterday's shot. I can't go to Spring Grove without checking on my swans. There is construction going on so it was noisy where there is usually serenity to be found. They didn't seem too bothered by it. They are building more mausoleum space so that more drawers can be added to hold more of the dead. A cemetery is a constantly booming business. Their phone rings every day with someone ready to occupy space that is already sold or to a grieving family buying at the lost minute. Tom and I have a very expensive drawer close to the swans. We didn't want to have the boys make a decision for us that we could make for ourselves. It was easier to do it ahead of time. But do you know that I was still in tears at times. It isn't easy to face your own mortality even knowing that none of us gets out of here alive. Beautiful shot of that pretty swan. Such a beautiful subject for your photo. AS we age I think we recognize with a greater reality that we won't always be here and if you are like me iot is difficult to comprehend what that will be like. 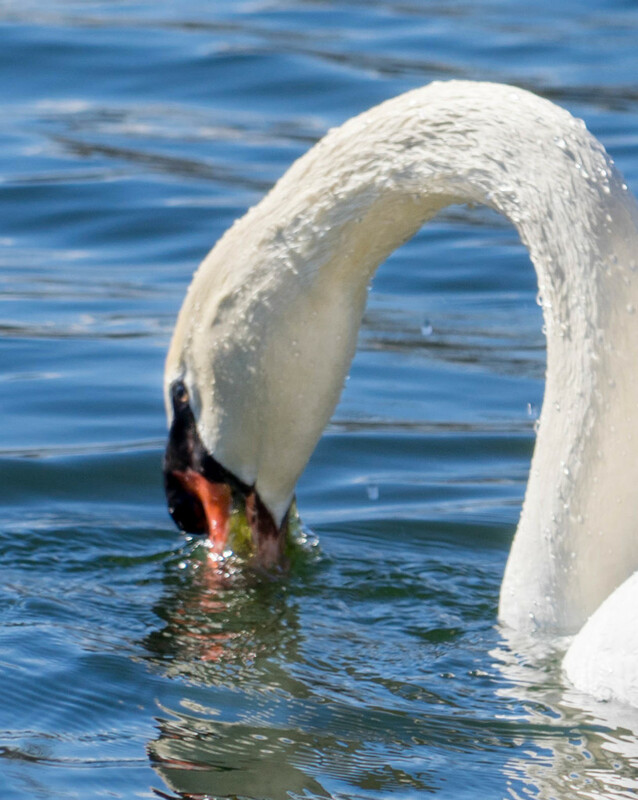 I always enjoy your swan photos. The older I get, the more real my mortality becomes... and yet I am pretty good about pushing it away. @grammyn Even know the circle of life it is so difficult to realize that someday I won't be here. Even though we have prepared for this it still isn't "real." I know where my very expensive box is but I tend to avoid it. Silly, isn't it? @cdonohoue I don't think it is silly at all. Intellectually we recognize that eventuality but emotionally any concrete reminders of it can be distressing because we are human and all of our experience is tied to this body and this world. @grammyn Exactly. I am a woman of faith but exploring the hereafter on a personal level isn't something I want to do just yet.